For emigrating Filipinos who have been remitting their Pag-ibig, you can claim your Provident Benefit from Pag-ibig (under the grounds of Permanent Departure From The Country), please check Pag-ibig’s link to Provident Funds for more info. You need to make sure to check if your contributions are already consolidated, ours (hubby and mine) were not consolidated yet, go to the branch where your latest employer is assigned to, and ask to merge and consolidate everything. For married ladies, make sure to double check if your contribution during your single days are merged with whatever contributions you have made during married days. They had to find my single days contribution because it was not merged with my married name! After they inform you that everything is merged/consolidated already, you can now proceed to request for withdrawal of your provident funds based on “permanently leaving the country” clause. You need to submit form plus sworn affidavit that you are leaving the country, both are downloadable at pagibigfund.gov.ph , make sure that the sworn affidavit is notarized. It is stated in the sworn affidavit that you are “leaving within 60 days”, so make sure to do it within that period, just to be sure. If everything was consolidated already, the check will be released 1-2 weeks after you submitted all requirements. In our case, it was a total of 5 weeks waiting because the consolidation took 3 weeks. 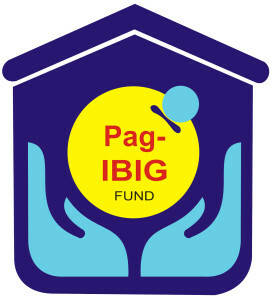 Computation of the amount would be based on “member’s total accumulated savings (TAV), which consists of the member’s accumulated contributions, the employer counterpart contributions, if any, and the dividend earnings credited to the member’s account” (taken from Pag-ibig Funds website). Great help!!! God bless you as you have continually blessed others through this blog!